In this quick interview with Health 2.0 Co-Founder, Matthew Holt, I talk about the Developer Challenge program, specific challenges launched/closed at the Health Datapalooza meeting, and innovation competitions more broadly. Thanks for the interview, Matthew! 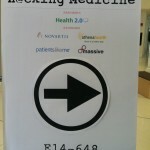 This year’s Health Datapalooza (the 4th annual) was bigger and better than ever, with over 2,000 registered attendees. Cristin Dorgelo of the White House OSTP led another great panel on “Challengeology” where we discussed prize competitions and lessons learned. Thanks to Cristin and the organizers of HDP IV for the invite! On March 22, 2013, the New York Academy of Sciences hosted the “Health 2.0: Digital Technology in Clinical Care” conference (sponsored by the New York State Department of Health AIDS Institute and the Josiah Macy Jr. Foundation). Participants convened at the Academy to discuss the technical, legal, and ethical implications of health care technology innovation. The audio below is from a conversation I moderated called “Promoting Translation and Expanded Use of Digital Technology”, featuring Dr. Jessica Ancker and Dr. Roberto Martinez. 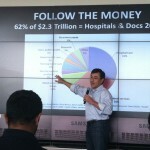 The Health 2.0 Developer Challenge program has grown dramatically since its launch in June 2010. Since that time we’ve managed more than 50 challenges and code-a-thons, and we’ve engaged more than 5,000 innovators who are changing our health care system for the better. In this video, Indu Subaiya and I discuss the Developer Challenge program, including the announcement of crossing the million dollar prize distribution threshold! A great video to find out about what’s new in the world of innovation competitions. 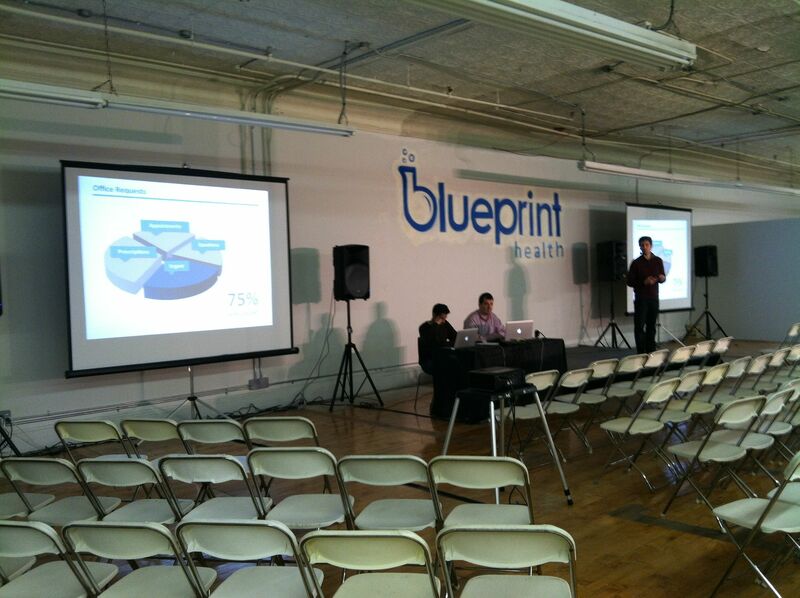 Today I was fortunate enough to be part of Demo Day for Blueprint Health’s “First Class”. In my mind this will surely go down as a historic day in the annals of NYC digital health. 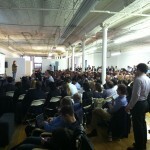 I can’t imagine how many successful companies are being built/going to be built by people who were in attendance today. Our ecosystem is blowing up! 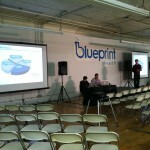 All of the Blueprint Teams delivered consistently impressive presentations. We’ve gotten to know all the guys (and one girl – holla, Jessica!) here over the last few months and it was really wonderful to see them wow the audience with their pitches. If you want to know how to present your idea, make sure you watch the videos when they’re posted. I was also very impressed by all the luminaries who turned out for the event. 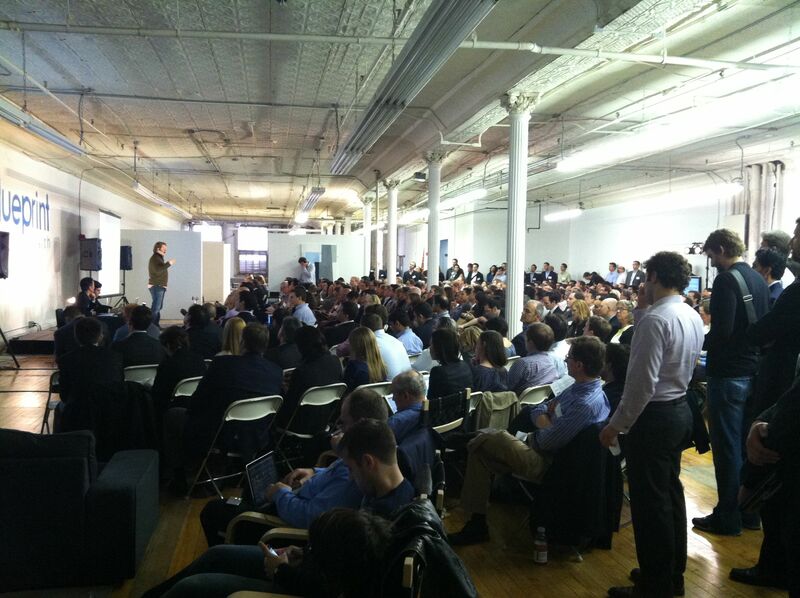 Approximately 300 of the brightest minds in digital health from all over the country packed the house today. 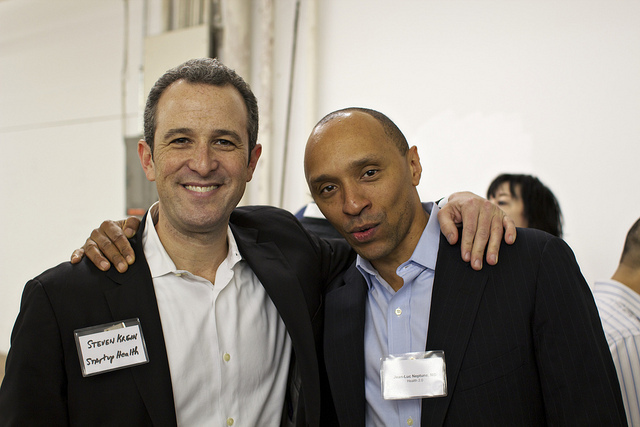 Everywhere I looked I saw big name investors, entrepreneurs, and innovators networking with the Blueprint teams. 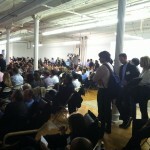 The outstanding turnout is a great validation of the Blueprint concept. Finally, we had the pleasure of watching deals being made and checks being cut throughout the day. I don’t know what the final tally will be, but I’m sure many of the teams will close their investment rounds in the very short term. I really wish I had an opportunity like this when I was raising money for my first start-up, Healogica. Congratulations to Brad and Mat on a truly outstanding event! As I’ve said before, something big is happening here. Looking forward to how things unfold over the next weeks, months, and years. 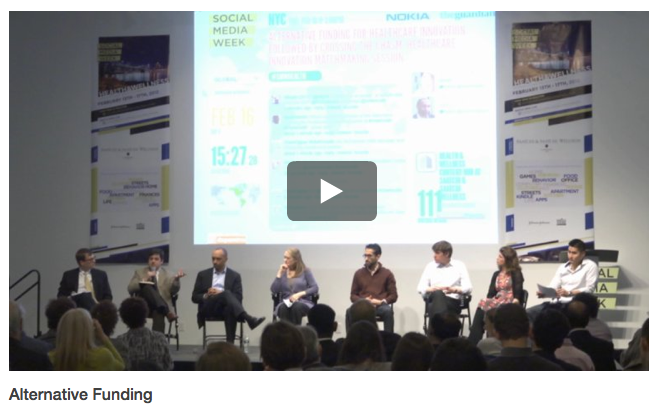 Watch This Panel On Alternative Sources Of Financing Before You Raise Money! I was invited to participate in an excellent panel titled “Alternative Sources of Funding for Healthcare Innovation” at Social Media Week in NYC. Recipients and donors of alternative (and non-dilutive) sources of capital talked about how to raise money outside of the traditional venture capital and angel channels. There was a lot of interest in challenges as a funding mechanism and I got to learn more about funding opportunities from the federal government and large foundations. The panel was followed by a highly productive matchmaking session that connected established stakeholders, like payors and pharmas, to start-up and other innovative companies. 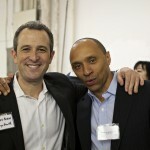 Kudos to Charles Huang on organizing an outstanding event! On Thursday night the members of Team Health 2.0 NYC (Edbury, Kyle, Austin and yours truly) had a blast at the Blueprint Health launch party at their new 12,000 sf facility in the heart of Soho. 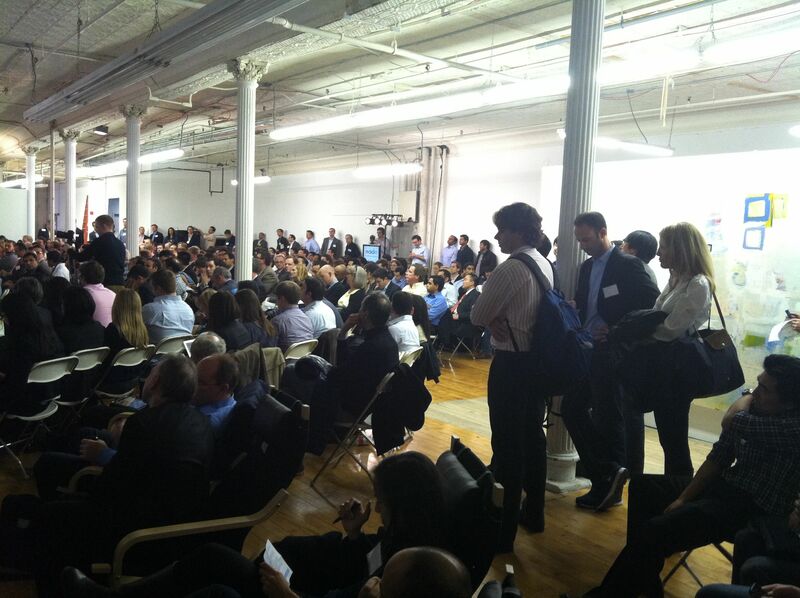 The event attracted a great crowd and included many, many familiar faces from the NYC healthtech scene. As an added bonus we got to hear pitches from all the teams in the inaugural Blueprint class as well as chat with them later on. Kudos to Brad and Mathew on the launch! Kyle and I saw the space about a month ago and it’s amazing to see what the guys were able to do with it in just a few short weeks. 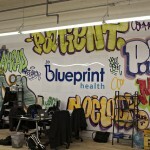 In fact, we like the new space so much that Team Health 2.0 NYC will be leaving our current digs in TriBeCa and moving in with the “blueprinters” (???) later on this month. Co-locating with all these exciting start-ups is a unique opportunity and I think the cross-pollination across organizations will be a huge boost to the community as a whole. On a final note, it was hard to watch the NYC internet boom of the late 90s pass me by as I was working as a medical resident at Columbia Presbyterian, and I always felt like I missed something big. 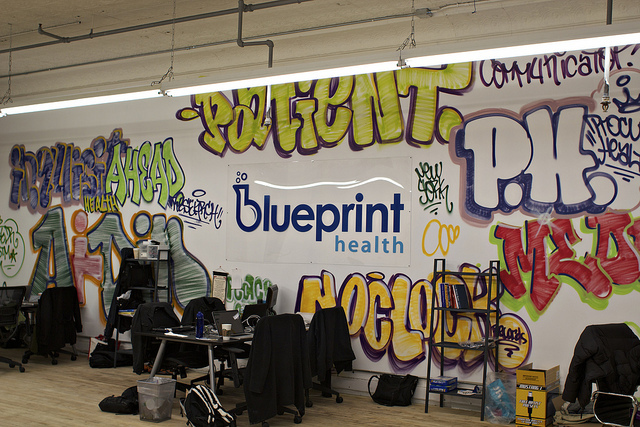 I have the feeling now that something REALLY BIG is happening in the healthtech space in general, and in NYC in particular, and I consider myself to be fortunate to be right in the middle of it. Don’t know where this is all heading but looking forward to an exciting journey. Last week I attended the Startup Health New York Roundtable at the offices of Edelman, the global PR firm located right up the block from Health 2.0’s NYC digs. 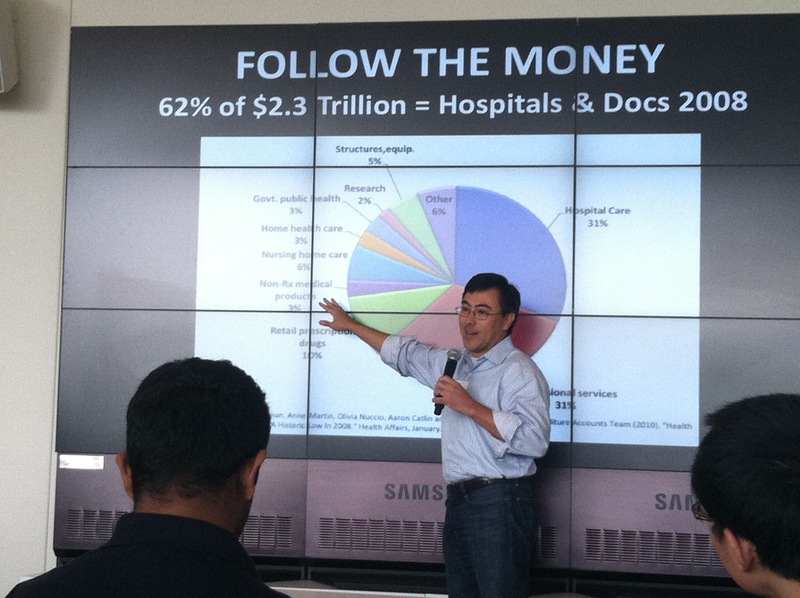 The meeting was titled “Bridging The Gap Between Health Entrepreneurs and Government” and was attended by 2 really important change agents thinking about health care in the government: Todd Park and Joe McCannon. As most of you know Todd is the “Chief Technology Officer” at the Department of Health and Human Services (actually more an entrepreneur-in-residence than anything else) and Joe is Group Director of Learning and Diffusion in the Innovation Center at the Centers for Medicare & Medicaid Services. What is the Health 2.0 Developer Challenge? 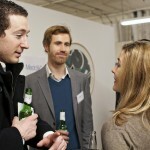 Why sponsor and innovation competition? 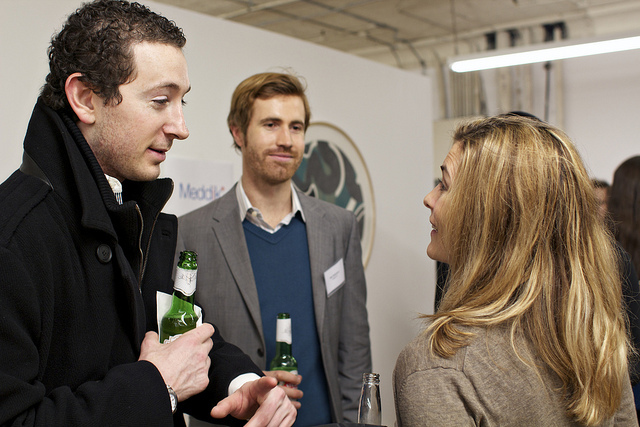 Why participate in an innovation competition? If so, this video from my lunch time session at the Health 2.0 Fall Conference is for you. Apologies for the poor quality video but you can understand most of what I’m saying. If you’d like to learn more please feel free to hit me up at jl@health2challenge.org. 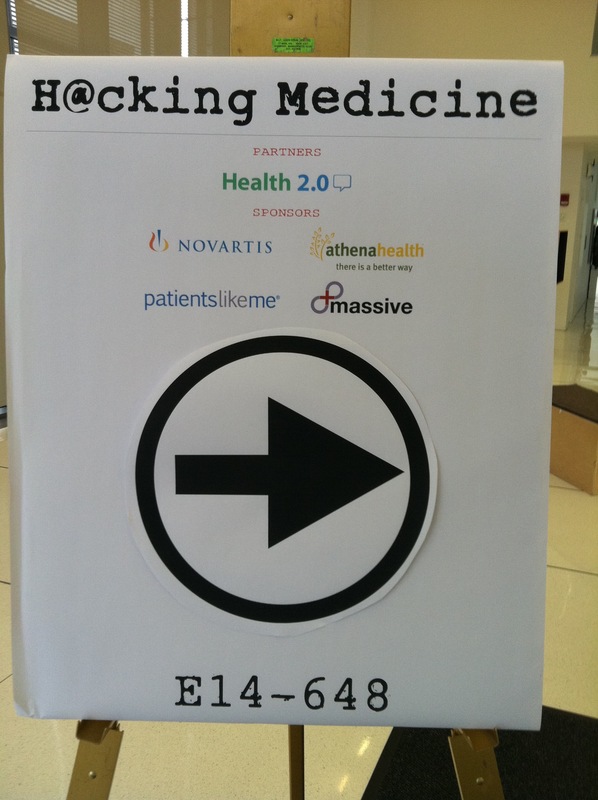 This past weekend the Team Health 2.0 was in Cambridge, MA for the “Hacking Medicine” Code-a-Thon at MIT. 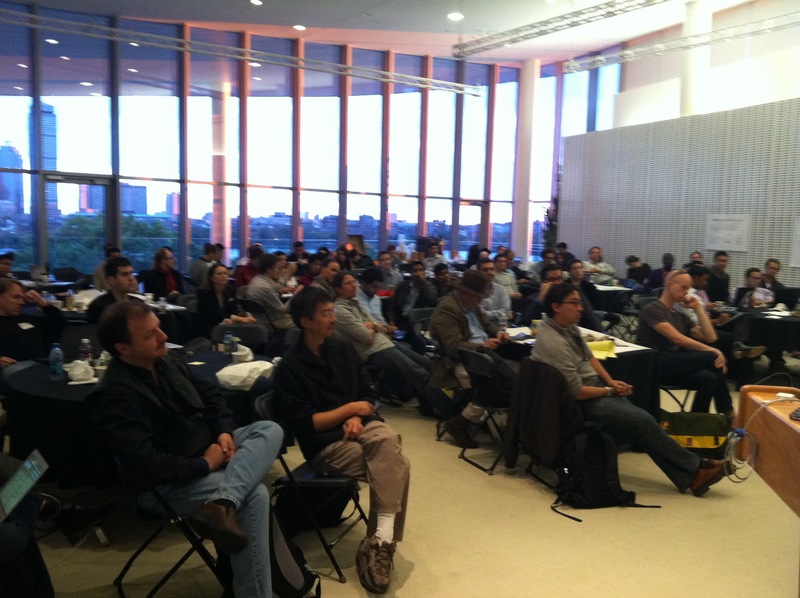 Health 2.0 partnered with the Hacking Medicine team (Zen Chu – EIR at the MIT Entrepreneurship Center, Elliot Cohen – MBA candidate at MIT Sloan, and Allen Cheng – MD/PhD candidate at Harvard and MIT) to produce the two-day event which took place at the legendary MIT Media Lab and attracted over 100 participants representing a range of disciplines including computer science, business, and medicine. In the afternoon participants pitched their best ideas with teams forming around the most compelling concepts. The teams worked together throughout the rest of the day (and into the night) to develop their concepts. 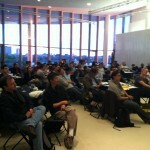 On Day 2 there were more than a dozen team pitches with six $1,000 prizes awarded to the best presentations.